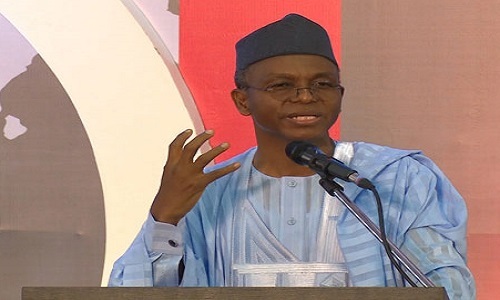 El-rufai said this on Tuesday in Kaduna during the inauguration of its 2019 campaign organisation. ”It is heart-warming to note the enthusiasm with which APC members and supporters have welcomed the unveiling of the team that will lead our campaign in Kaduna State. ”This is a manifestation of the fact that they recognise what is at stake,” he said. ”Our party has worked hard to begin the tough job of remaking Nigeria and Kaduna State. ” It is a work in progress; that can only continue if those who believe in using the commonwealth to develop and advance our people retain the mandate to do so. ”The struggle to empower ordinary people and to make their lives better requires that the party of the people should continue in government. ” It is the job of the Campaign Council and its Directorate to enlighten our people and ensure that they are enthused to vote for our party,” he said. According to him, the APC has worked hard to begin fixing the rot left behind by 16 years of PDP misrule and neglect. ”There is a lot more to do to clean up the mess and reset the country on the path to stability and prosperity,” he said. Meanwhile, the National Deputy Chairman, North, APC, Lawal Shaibu while inaugurating the Kaduna campaign council, called on all to shun smear campaigns about APC in the social media..
Kelly Rowland Thrills At Love Like A Movie 2!